anyone else experience the need to “do” right when inspiration strikes ? came home with this chevron paper lantern to my girly’s ceiling assortment and couldn’t wait til her daddy got home with his big ladder and tools. 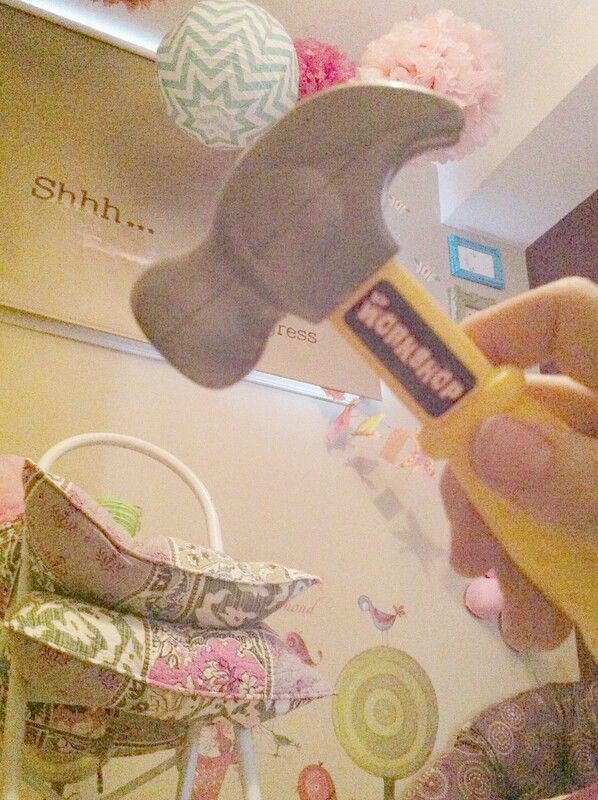 please tell me i am not the only one who thinks that in a pinch, pillows add the perfect amount of extra height and my girly’s hammer will do ! forgive the grainy photo – i don’t believe in proper tools today so grabbed the elmo camera close at hand !